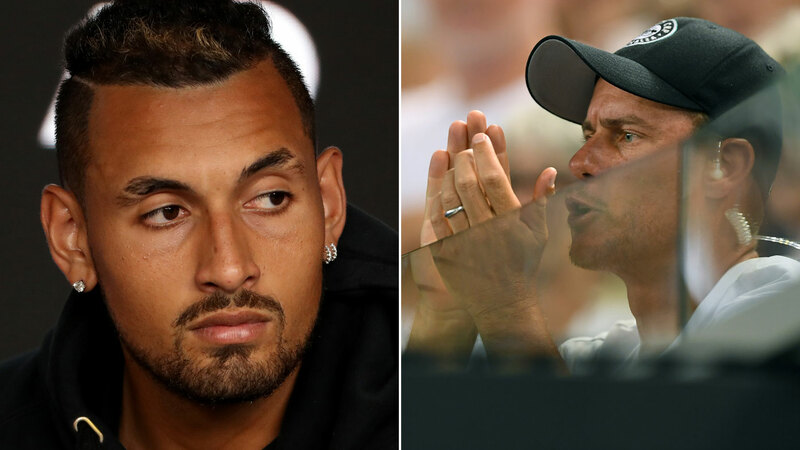 Nick Kyrgios deleted a Twitter post on Saturday night, which is becoming increasingly common for the volatile Australian tennis star. He needn’t have scrapped this one, though perhaps upon reflection he worried that it might be perceived as a slight against Alex De Minaur. Really, it was just the truth that a bemused Kyrgios tweeted. 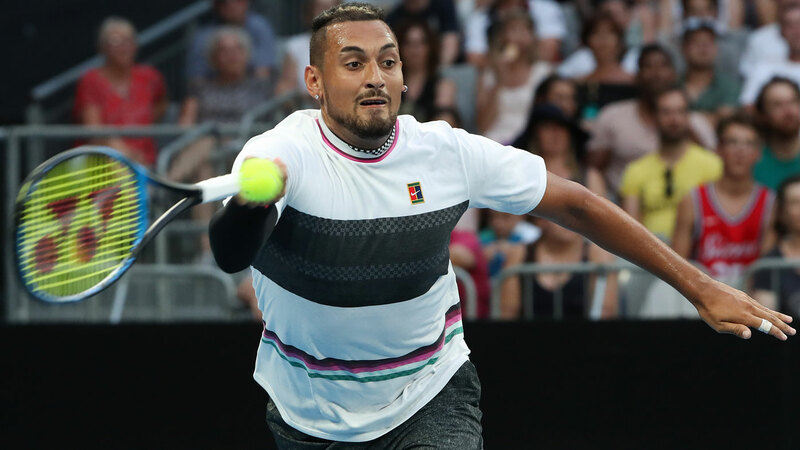 A newspaper, inspired by De Minaur’s ultimately futile grit in an Australian Open loss against Rafael Nadal, claimed that Kyrgios simply would have quit in the same situation. Yet a 19-year-old Kyrgios beat the mighty Spaniard once upon a time on the hallowed grass of Wimbledon, which he duly pointed out. There are two things that need to be understood as the public debate about Kyrgios gets more hysterical. One, he’s an extremely good tennis player. He is a Grand Slam calibre talent, the likes of which we have not had since Lleyton Hewitt. John McEnroe rates him the best talent since Novak Djokovic and Andy Murray, a big-time player absolutely capable of winning majors. Two, that is the primary reason that Kyrgios is so frustrating. If he was a no-hoper who was failing to give his best effort and showing such disdain for tennis, nobody would care. The thing that makes his career to date as infuriating as it’s been exhilarating is the wasted talent. His deleted tweet spoke to both his brilliance and his bewildering attitude to tennis. He sent the tweet, of course, having already bombed out of the Australian Open in Round 1. 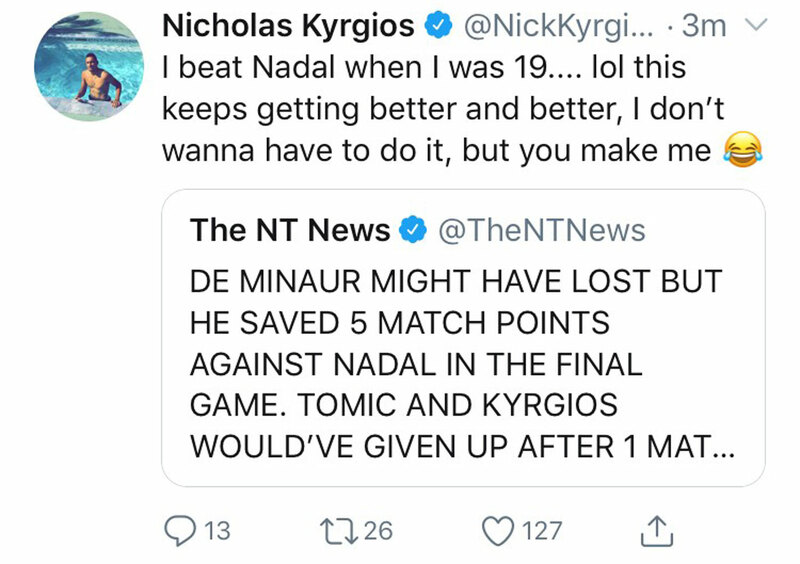 Yes, Kyrgios beat Nadal at 19. He’s beaten Roger Federer, Djokovic and Murray, too – the entire Big Four that has owned this era of tennis. He also has two wins over Stan Wawrinka, who has won as many majors (three) as Murray. The only players ever to have beaten Federer, Nadal and Djokovic at their first attempt: Hewitt and Kyrgios. Kyrgios holds a 2-0 record over world No.1 Djokovic, the 14-time Slam winner. The Aussie is a potential world-beater. All that, and we’re asking ourselves whether Kyrgios will ever win a single Grand Slam. Kyrgios has never bettered that Wimbledon tournament in which he beat Nadal. He made the quarter-finals of the All England Club in that heady 2014 run. That was nearly five years ago. He made the 2015 Australian Open quarters and has never been that deep in a Slam again. He has won four ATP Tour titles, but he next step still looks a long way off. “I’m hopeful, I’m praying, because I’m a Nick Kyrgios fan. I like him a lot, he’s a great kid, he’s a great team player. I’ve had him at the Rod Laver Cup a couple of years … and he lifted everyone up," McEnroe told Channel Nine. “So hopefully he can do that on his own. It’s questionable. I’m worried. I’m pulling for him. “Who wants to hear that you don’t care when you’re getting this opportunity to do something unbelievable? You get to be an elite athlete for a living. The clock is ticking for Kyrgios. Yes, even at 23. Tennis is a young man’s game, unless you’re an all-time great like Federer-Nadal-Djokovic. Look what just happened to Murray, all but retired by 31. And consider the age at which these champions won their first Slams. Wawrinka, who Kyrgios has well-documented history with, is the only player of this era to win multiple grand slams having won his first major after age 25. The truly great players of the era before also won their first Slams early: Pete Sampras at 19, Andre Agassi at 22 and Boris Becker at 17. Perhaps a better comparison is Marat Safin, the volatile Russian with the mammoth game – yet he won his first Slam at age 20, destroying Sampras at the US Open, then beat Hewitt in the Australian Open final around his 25th birthday. Jim Courier won the first of four Slams aged 20 and was done winning them by 22. Sergi Bruguera won two French Opens at 22 and 23. Yevgeny Kafelnikov had a pair of Slams by age 25. Gustavo Kuerten had his trio of French Open wins by age 24. Tick tock, tick tock, Nick. As things stand now, it seems foolish to even discuss such names when speaking about Kyrgios. As for De Minaur, Nadal showed just how far the Aussie has left to go if he wants to be a major player. It was a comprehensive win for the Spaniard, which also exposed the fact that De Minaur will need to develop bigger weapons if he wants to be a Grand Slam contender in the future. “Alex, he is going to need to beef-up his game,” Australian legend Todd Woodbridge said in Channel Nine. De Minaur has often been compared to Hewitt, which is something of a back-handed compliment given how the former world No.1 faded as a force during the Big Four era. Former Wimbledon champion Pat Cash said De Minaur’s shortcomings mirrored Hewitt’s. “Ironically, there are good things to see there, but also I see some of the things that held Lleyton back against the big hitters,” Cash told Macquarie Sports Radio after the Nadal match. “Speed and his competitiveness are great attributes. But in time he is absolutely going to need to get more power on that backhand. Players can just sit on that all day and as we saw last night Rafa just worked it to pieces.